The 2015 Langston Hughes Poetry Reading will celebrate the work of one of Langston’s major influences: the poet Paul Laurence Dunbar. 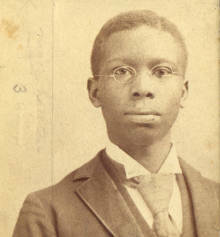 Dunbar was America’s first notable African-American poet, celebrated for his extensive body of work. Join us to celebrate his works in this beloved community event.